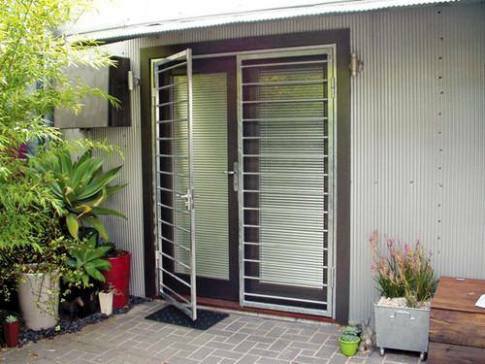 In Australia, security screen doors have become one of the common features of homes. After all, they allow better air circulation amidst hot weather whilst preventing pests from entering the living space. Compared to fly screens, security screen doors are stronger and sturdier. They can withstand most attempts at forced entry and still retain the benefits of keeping insects out. So, what are the basic things to know about security screen doors? How you can you guarantee that it will give you enough protection? Well, in this article, we will discuss some of the important qualities of an authentic security screen door. The AS 5039 contains the specifications which cover the general requirements and performance of security screen doors. Basically, it specifies the minimum performance requirements for all types of sliding and hinged security screen doors that are primarily used in residential applications. Its primary concern is the product’s level of resistance to forced entry. It is worth noting that these standards do not cover important issues related to egress in the event of an emergency. Regulatory authorities and people involved in the manufacture, installation and general requirements of security screen doors can follow the guidelines laid out in AS 5039. The AS 5040 provides security screen door installers the specifications on how to properly mount the product. If the door is not installed according to AS 5040, it will not provide optimum security and other lifestyle benefits. There are several bushfire areas in Australia. If you live in one of those zones, you must check if the security screen door you’re planning to install meets the local bushfire regulations, as well as the AS 3959 requirements. This Standard contains the specifications for constructing buildings in bushfire-prone areas. Keep in mind that the wrong flyscreens can burn in a bushfire, causing the rest of your house to get eaten by flames. In Northern Australia, cyclones commonly occur. So, if you are situated in this area, it would be best if your doors are protected from cyclone debris. You can install security screen doors to protect your glass doors from getting shattered. In this way, you won’t have to ‘batten down the hatches’ whenever you hear news of an oncoming storm. You will have the protection you need at all times, even when you are out of town. There are different requirements and test methods for structural design, depending on the wind action in a specific cyclonic region in Australia. When you are going to buy a security screen door, make sure that the product complies with the requirements laid in your area. When you search for security screen door suppliers, you will discover that you are spoilt for choice. However, not all of them offer products that comply with Australian Standards. So, it is important that you carefully research about the supplier and ensure that you are making an informed decision. One of the best indications that a supplier is reliable and credible is if they are a member of the National Security Screen Association (NSSA). For a supplier to retain their NSSA membership status, they have to comply with Australian Standards.